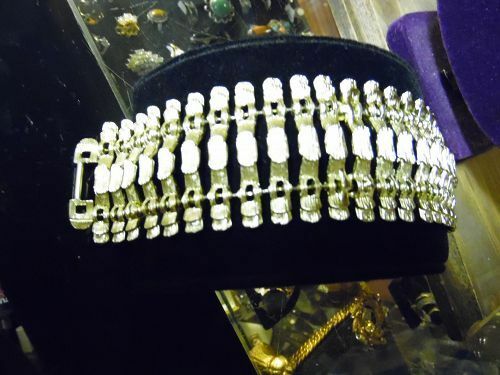 Vintage BSK bracelet looks great over gloves or alone. This gold tone BSK bracelet is extra wide, measuring 1 3/4 inch wide by 7.25 inches long, not counting the clasp. This has nice weight and makes a stunning statement. A perfect example showing the quality of vintage costume jewelry. Marked BSK with a copyright “c”. Excellent condition, little to no signs of wear.